There are numerous online casinos out there, some better than others. In order for a casino to stand out within such a crowded market, it is extremely important that it separates itself from the rest. This is exactly what Casino Heroes had in mind when they began their adventure. This is a completely unique website, which takes you on a journey into an adventurous land of opportunity. Casino Heroes is all about you, the player. Here, you take on a mission to save the world, as we know it, a fantasy world that is. The gameplay is completely unique. And, we fell in love with this online casino as soon as it first opened its doors at the end of 2015. Casino Heroes is simply magical. There is only one bonus you need to pay attention to: the deposit bonus for new players. It does not end there, of course, but that is where it all begins. Casino Heroes is something of a mix between a modern online casino and a role-playing game. Hence the bigger the bonus you claim at the very beginning of your journey, the further you will go. Casino Heroes will give you a bunch of missions to fulfil. And, as you do that they will grant you special bonuses and prizes. These come in the shape of free spins, cash bonuses, special entries into competitions, and etc. Pay attention to your e-mail, as Casino Heroes will send you lucrative offers! Literally hundreds of games await you at Casino Heroes. The cool thing here is that they specialize in themed slot machines, especially of the fairy tale type. Splendid details, 3D-graphics, long animations and bonus games that often give you higher prizes than jackpots. That’s what it’s all about at Casino Heroes. You can play the games randomly, or simply follow the missions on your path across the vast landscape of this online casino. Every mission points to a certain game, and as you play this game you will unlock secrets, prizes and free spins. 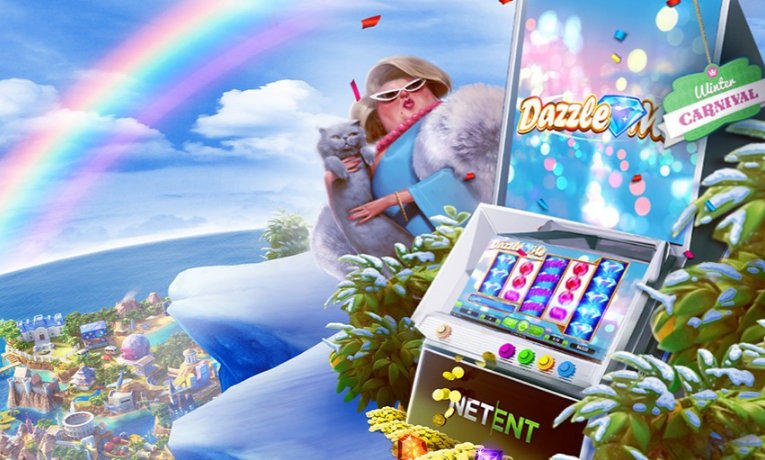 Most of the games are created by NetEnt, the most popular slot provider in the world. Hence, you can look forward to action, fun, joy and non-stop excitement. User-friendliness was the top priority when the people at Casino Heroes were creating their online casino. And, this is clearly visible throughout the site. The casino lobby is very neat and tidy, even though it looks nothing like what we are used to. Originality and creativity has really paid off here, which is why Casino Heroes is one of the fastest growing casinos on the Internet. VISA, MasterCard, Skrill, Neteller, EntroPay, Trustly – no matter what kind of payment methods you prefer, Casino Heroes will surely have them. They cannot boast of as many methods as some bigger players in the industry, but they should satisfy just about any player out there. As for withdrawals, most of them go through Trustly and end up in your bank account. The best part here is that bank transfers only take 24 hours thanks to the new payment method most online casinos have embraced. As with all growing online casinos, the customer service is simply splendid. They answer all questions extremely fast, and will go out of their way to make you feel at home. Customer service at Casino Heroes is also famous for handing out special bonuses and offers to whomever they chat with. Try asking them for some free spins or the like, and they might just make your day a bit brighter. Customer service is available through both e-mail and live chat, and it seldom takes more than a few seconds to have a live operator available to answer your questions.